The Return of Food Truck Friday! PowerObjects is officially saying goodbye to winter and hello to the return of FOOD TRUCK FRIDAY! 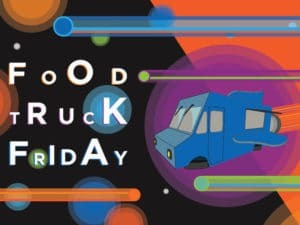 That’s right, Food Truck Friday is back and it’s making an intergalactic splash at PowerObjects HQ in the Minneapolis North Loop neighborhood! If you’re in the Minneapolis area on May 4, put on some neon shades, bring those warmer weather vibes, and welcome the stellar return of Food Truck Friday with one of our favorite trucks, The Outlaw Grill. But that’s not all – we have a full lineup this year, returning with some fan favorite trucks and not one, not two, but TEN new food trucks to get your taste buds excited for summer! Check out the full schedule here. Follow PowerObjects on Twitter, Facebook, or Instagram for the latest in Food Truck Friday events and information. Don’t forget – mark your calendars for the first #FoodTruckFriday debut on May 4 and join us for lunch!